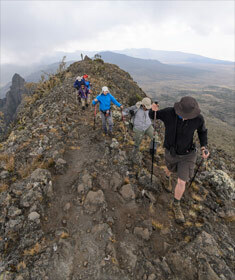 Why Climb with Everlasting Tanzania Travel? One of the integral aspects to Everlasting Tanzania Traveler's near 100% success rate on Kilimanjaro is our diligence and implementation of effective protocols for the health and safety of every climber - from the food they consume to the medical support they receive. consumption are concerned. Clean water is critical to your health on the climb. We supply high volume Katadyn water filters which can produce the vast quantities of clean drinking water that your body requires for hard work at high altitudes. Katadyn is one of the only water filtration systems endorsed by the World Health Organization to guarantee pure water. We also use Micropur to disinfect. 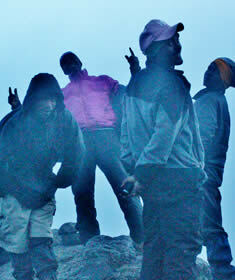 As owner's guided adventure travel outfitter, we are probably the only native Tanzanian Kilimanjaro climbing operators. The company emerged from a group of Tanzanian mountain guides, pooling on their years of experience as guides, porters and to date most trips are led by its founders. Each of our lead guides has over 12 years of experience and have all, to date completed over 200 summit climbs on all of the established routes, we instinctively know the details that make or break a climbing experience. ETT is responsible for the largest group of climbers at any one time to climb the mountain, as well as a climber with cystic fibrosis, and an eleven-year old Sarah Sineard who broke the record. The menus for all climbs are specially prepared to provide a balanced diet of fresh fruit, vegetables, plenty of carbohydrates and protein. We select food items that are easy for the body to digest at high altitude and that deliver the necessary nutrition and energy required by the rigors of climbing. We can cater to a wide variety of special dietary requirements from vegetarian to celiac to raw food diets. We primarily use fresh organic ingredients in preparing all of our meals on the mountain produced by the local farmers on the slopes of Mount Meru. Our cooks undergo rigorous training and we have ongoing workshops to review menus and clients are always surprised by the sheer variety of tasty dishes they get on the mountain. The cooks are particularly vigilant in their hygiene practices since contracting stomach bugs are common for visitors to the developing world. At camp in the morning, we will wake you up with a steaming cup of hot chocolate, coffee or tea and offer a full breakfast in the dining tent. And while other climbers are eating their cold lunch boxes on the trail, a delicious hot lunch will be prepared for you and served in our mess tent sheltered from the wind and chill on the trail along with your favorite hot drink - a small difference that makes a big difference on the mountain when it comes to resting and refueling. Everlasting Tanzania Travels actively promotes fair compensation and good working conditions for mountain staff. We ensure our clients are well-served by a network of competent, trained and experienced guides and porters who are fairly paid and properly equipped. ​ We ensure that our staff member have the necessary gear and waterproof clothing to work comfortably and effectively. ​ We ensure that our staff eat sufficiently and well and have access to clean water and medical attention. ​ We ensure that our porters do not carry more than the recommended weight set by the Mount Kilimanjaro National Park authorities. 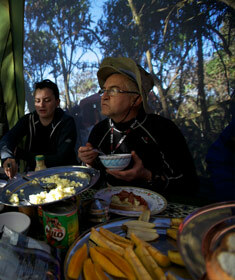 ​ We ensure that staff tips are distributed fairly to the mountain guides, porters & cooks. ​ We pay above the recommended porter's daily wages set by Mount Kilimanjaro National Park and although we may not pay the highest wages, we are proud to say our team is the happiest on the mountain. Everlasting Tanzania Travels complies with all Kilimanjaro national parks environmental regulations. All of our trash is hauled out and measured at the exit gate, we supply gas stoves instead of firewood and charcoal and we use environmental friendly LED solar light in our mess tents. We always strive to minimize our impact on the fragile mountain ecosystem since our livelihood is reliant on the healthy state of environment. 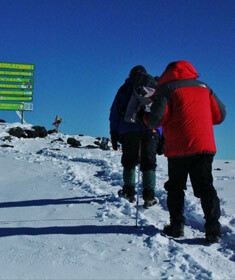 We are devoted to ensure Kilimanjaro's pristine environment stays clean for others to enjoy. What really makes this company unique is that it was created, built and to this day still operated entirely by local Tanzanian Kilimanjaro and professional safari guides. 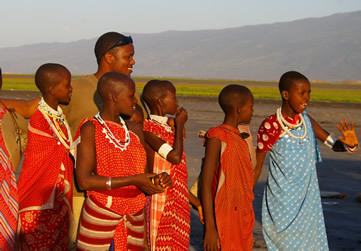 In 2007, Everlasting Tanzania Travels emerged from a group of Tanzanian mountain and safari guides, pooling their years of experience as guides and porters, chiefly to empower the local community by providing opportunities for ourselves and others. In partnership with Mom2Mom Africa, we have granted education scholarship to more than 45 children, mostly unprivileged girls. Through Global Forces we have supplied school supplies and solar lanterns to students suffering from energy poverty. 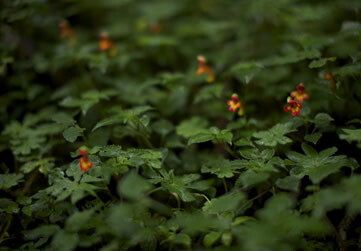 We have also donated over 600 seedlings to local schools to improve the badly deforested local environment. By joining hands with us, you will make a responsible travel choice. To learn more or get involved in our community projects please visit www.mom2momafrica.org and www.globalforces.org.